Open a psychic doorway to the spirit world . . .
That's exactly what happened to Paul Elder following a near-death experience at the age of 41--a psychic doorway opened and his ordinary life has never been the same. Except that Paul Elder's life has never been ordinary. A former television news reporter and mayor of a Canadian city, Elder gained international recognition. Now, as a result of his spiritual experiences and publication of this book, he will be known as a brave pioneer and outspoken advocate for the personal and scientific study of the spirit world around us. Passing repeatedly through that psychic doorway, Elder returned with a series of stunning revelations as to our true nature and purpose in the universe. A compelling, inspiring, and important book, Eyes of an Angel integrates near-death and out-of-body experiences in a way that has never been done before. A story of hope and courage that can instantly change millions of lives, it will give readers of books like Conversations with God inspiration to create their own dialogue with their own spirit guides and Gods. 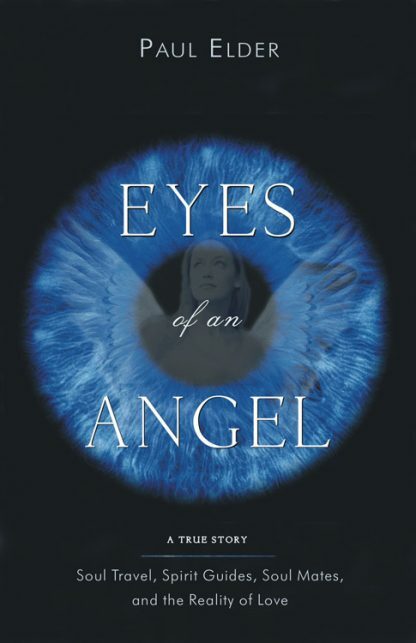 Quite unlike any other book on the market, Eyes of an Angel offers a gripping, first-hand account of a remarkable spiritual adventure. Its story will keep you spellbound, while its messages resonate deep within your soul.